The Frenchman sprinted straight into the history books after taking the biggest victory of his career from an elite group on the Via Roma. “It’s very difficult to realise what I achieved today together with this amazing team! There was pressure on me, but I knew the form was there and together with my Wolfpack teammates I did a perfect race. Tim pulled the entire day and then, on the Poggio, we tried to make the race very hard with Philippe and Styby, and afterwards I attacked as late as possible to forge a selection. On the downhill I tried to recover and remain focused, then in the last two kilometers I said that I want to win, and after closing the gap to Trentin, I continued to remain attentive, so when Mohoric went with 600 meters to go I said to myself it’s now or never. 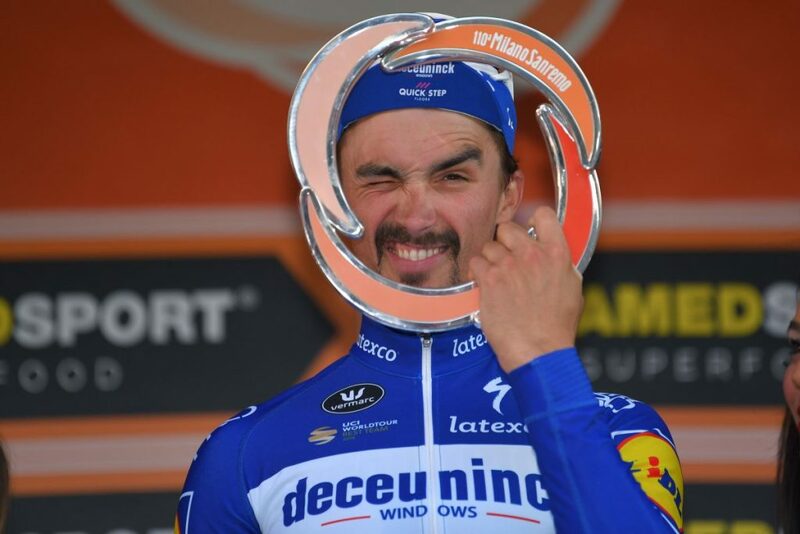 It’s unbelievable, a huge moment in my career”, an emotional Julian Alaphilippe said to the melee of journalists at the finish. At 291 kilometers, the 110th Milano-Sanremo was again the longest one-day race of the calendar, starting early in the morning, when the bunch leaves behind foggy Milan and heads to the sunny and vibrant Sanremo, as the race slowly unfolds for six hours, covering the Turchino and Tre Capi, before building up like an Alfred Hitchcock thriller for the final 30 minutes, which take the riders over the Cipressa and Poggio. “I am so, so proud of my team! Tim controlled the escapees since the start of the day, while Yves, Styby and Philippe protected and brought me into position on the Poggio. 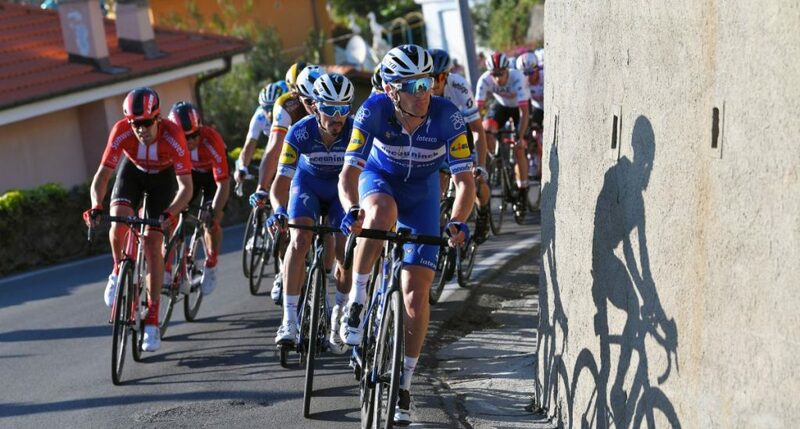 Before the race I asked them to make sure I was in the top three or top five maximum at the foot of the climb and they took care of it”, said the fourth reigning Tour de France KOM champion to triumph at the prestigious “La Primavera” when asked about the incredible amount of work laid down by his Deceuninck – Quick-Step, who left an indelible mark over the first Monument of the season.